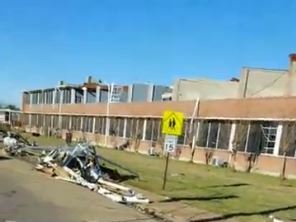 The Mississippi Department of Archives and History has recently added a new page, “Public Notice,” advising the public of potential new Mississippi Landmarks. Since this will, by definition change regularly, we’ll post anytime we see something new, but you (The Public) can also check in on it occasionally. And because I think pictures make it better, I’ve taken the liberty of adding them. 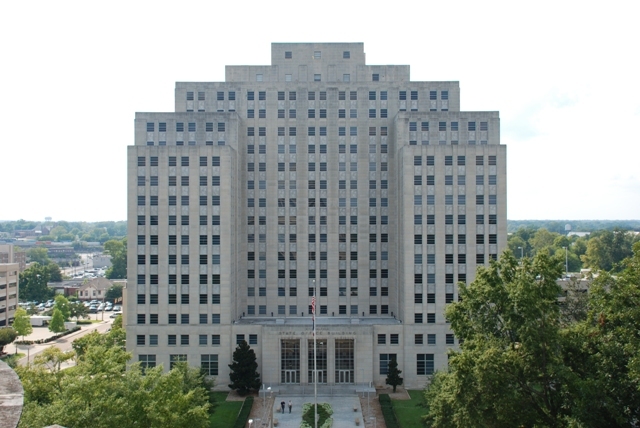 In accordance with the Policies for the Implementation of the Antiquities Law of Mississippi, the Board of Trustees of the Mississippi Department of Archives and History invites public comment on the following proposed projects or designations for a period of thirty (30) days following the publication of the notice. After the conclusion of the public comment period, the proposed project or designation will be placed on the Board agenda for action at the ensuring quarterly meeting. If expeditious action is required for contractual, security, or economic reasons, the Board may place the project or designation on the agenda of the next regularly scheduled monthly teleconference. Hunt High School, located in Columbus, Lowndes County is currently under consideration for designation as a Mississippi Landmark in compliance with the provisions of the Antiquities Law of Mississippi, Section 39-7-3 et seq. of the Mississippi Code of 1972, as amended. The Antiquities Law provides that publicly-owned properties found to have significance may be designated Mississippi Landmarks by the Board of Trustees of the Mississippi Department of Archives and History. 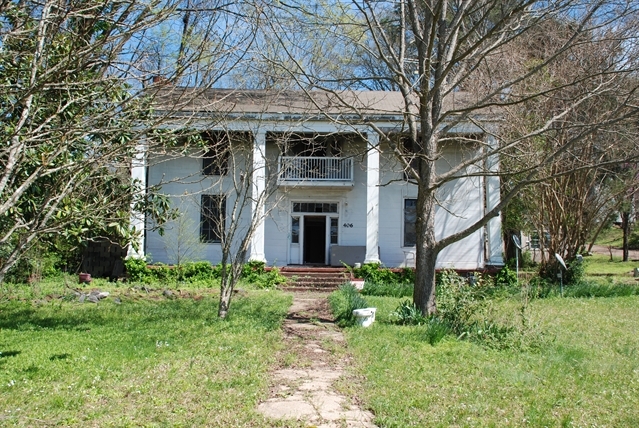 Designation recognizes the historical and/or architectural significance of the property and requires that proposed alterations that may affect the property’s historic character be reviewed and approved by the Mississippi Department of Archives and History. The Board of Trustees of the Mississippi Department of Archives and History invites public comment on the proposed designation of Hunt High School as a Mississippi Landmark. Comments and requests for more information should be sent to Katherine Anderson, Mississippi Landmarks Administrator, Historic Preservation Division, Mississippi Department of Archives and History, P. O. Box 571, Jackson, MS 39205 or kanderson@mdah.ms.gov, within thirty (30) days from the date of this publication. Taylor-Burns House (c.1850), Columbus. Photo by James Bridgforth, MDAH, March 15, 2019. Section 39-7-3 et seq. of the Mississippi Code of 1972, as amended. The Board of Trustees of the Mississippi Department of Archives and History invites public comment on the proposed designation of the Taylor-Burns House as a Mississippi Landmark. Comments and requests for more information should be sent to Katherine Anderson, Mississippi Landmarks Administrator, Historic Preservation Division, Mississippi Department of Archives and History, P. O. Box 571, Jackson, MS 39205 or kanderson@mdah.ms.gov, within thirty (30) days from the date of this publication. Woolfolk Building, located at 501 North West Street, Jackson, Hinds County is currently under consideration for designation as a Mississippi Landmark in compliance with the provisions of the Antiquities Law of Mississippi, Section 39-7-3 et seq. of the Mississippi Code of 1972, as amended. The Board of Trustees of the Mississippi Department of Archives and History invites public comment on the proposed designation of the Woolfolk Building as a Mississippi Landmark. Comments and requests for more information should be sent to Katherine Anderson, Mississippi Landmarks Administrator, Historic Preservation Division, Mississippi Department of Archives and History, P. O. Box 571, Jackson, MS 39205 or kanderson@mdah.ms.gov, within thirty (30) days from the date of this publication. If the MDAH Board of Trustees bases their decisions on the architectural and historical significance of these three buildings, then there should be three new Mississippi Landmarks designated at their next quarterly meeting. The City of Columbus and their designated “redevelopment” arm, the CRA, would like to demolish the Taylor-Burns house, based on- get this- the fact that so much of the historic surroundings have been demolished. Please everyone who reads this reach out to Katherine, the MDAH Board of Trustees, and help save these properties.